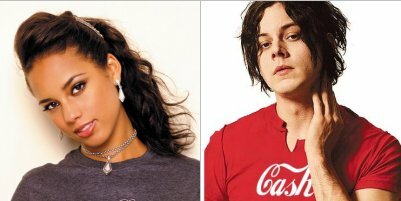 White Stripes frontman Jack White and soul singer Alicia Keys have recorded the next Bond theme tune, which is entitled Another Way To Die. Numerous people had been tipped to sing the theme; they included Amy Winehouse (probably a favourite if she did not have her personal problems), Duffy, Grace Jones and Leona Lewis amongst many others. White, 33, formed The White Stripes, which have released six albums, with his sister Meg in 1997. He is the band's lead singer, guitarist and songwriter and also formed The Raconteurs in 2005. US Grammy Award-winner Keys, 27, first appeared on the music scene in 2001 with her debut album Songs In A Minor. The theme is written by White and will be the first duet in Bond soundtrack history. In a statement Bond producers Michael G Wilson and Barbara Broccoli said: "We are delighted and pleased to have two such exciting artists as Jack and Alicia, who were inspired by our film to join together their extraordinary talents in creating a unique sound for Quantum Of Solace."